Is it time for Universal Motorcycle Helmet Laws? Motorcycle helmet laws exist in most states but not all of them make wearing a helmet a universal requirement for motorcyclists. States with those laws also see increased helmet use and that keeps riders safe, according to a new study by the CDC. Helmets prevent serious injury and fatality in a significant number of motorcycle accidents, both for drivers and passengers. But riders aren’t necessarily embracing universal helmet laws. Push-back is parlty due to an aversion to government interference in what is seen as personal business. Most of the top personal injury attorney Fort Lauderdale have come across cases which had the defendant claiming for compensation despite them not wearing helmets during the incident. Despite winning these cases as the person at fault could be clearly seen by everyone, making helmet compalsary is still a primary issue which has to addressed by many states. One of the easiest ways to implement and make sure everyone buys a helmet is by providing good quality helmets at a cheaper as then there will be no reason why a person does not own and use a helmet. Is this a case of Big Brother or do states have a legitimate reason for wanting universal helmet laws? One of the things that may be influencing universal motorcycle helmet laws is economics. Helmets prevent fatalities and that means lower cost for states. 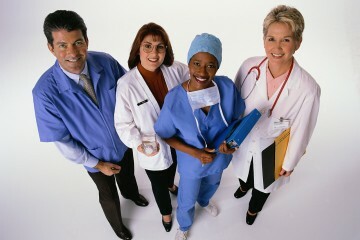 They save on medical bills and see cost savings in overall state productivity, reports USA Today. Helmet-wearing can also save motorcyclists time and money. It can mean lower medical bills in a crash, less time consulting a lawyer after an accident, and less time lost from work due to injury. States that have partial helmet laws, requiring only certain people to wear helmets, may also be influenced by cost factors. 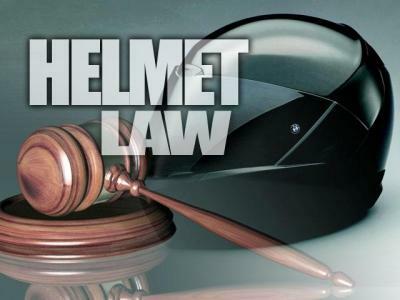 Florida law requires motorcyclists to wear helmets if they are under 20 or carry less than $10,000 in medical insurance, according to WJHG. Florida is likely saving money on that second group since. The helmet decreases the chance of serious injury in an accident and that means lower medical bills for people with less coverage. Universal helmet laws exist in 19 states with another 28 that have partial helmet laws which generally cover young people. Only three states have no law: Illinois, Iowa, and New Hampshire. In tough economic times, any kind of cost saving measure becomes more popular. But motorcycle helmet laws also make accidents less dangerous to riders and that has an inherent value. If universal motorcycle helmet laws do save both money and lives, as the CDC report suggests, it may be time to reconsider them in every state.